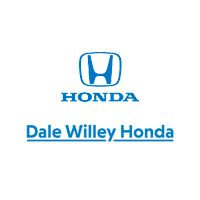 Here at Dale Willey Honda, our team isn’t just in your corner to help you choose the perfect new model; we’re also on your side when it comes to exploring your financing options and finding the plan that works best for you. One of the most common questions our customers ask is what the difference is between buying and leasing a new Honda. There are benefits to both options, and ultimately the choice between leasing or applying for Honda financing at our Lawrence dealership will depend on your preference and circumstances. Fortunately, our team is here to help you better understand your options! When you choose to purchase a new Honda, you’re doing exactly that: buying the vehicle. Whether you have the cash to pay upfront or decide to finance your purchase, you’ll be the owner of the vehicle once it’s paid off. If you plan on staying in your vehicle longterm, if you like making modifications to your vehicle, or if you tend to cover a lot of distance behind the wheel, buying is likely the right choice for you. Oftentimes, purchasing a vehicle includes financing it. In this scenario, our Lawrence dealership will help you calculate your monthly Honda payment and find a competitive interest rate on the portion of your purchase that you plan on financing over time. The key difference when leasing a vehicle is that the dealership maintains ownership of the vehicle throughout the entire process. You only pay for the portion of the vehicle’s value that you use, which means your monthly payment tends to be significantly lower. However, you’ll have to adhere to certain mileage and upkeep restrictions, which will vary slightly with the terms of your lease. If you’re looking to get into a new car for a lower payment, have a relatively short commute, or like to get into a brand new vehicle every two or three years, then a lease is the perfect choice for your situation. While our team is happy to help you make the right choice, you can always change things up down the road. If you purchase a vehicle and want to switch sooner rather than later, the Dale Willey Honda trade-in center can help you work things out. If you lease a vehicle and fall in love, no problem; you can always buy out the remainder of your vehicle’s value at the end of your lease term! To learn more about your financing options, including whether buying or leasing might be a better fit for you, don’t hesitate to contact our dealership serving Topeka and Ottawa KS by calling 785-843-0550 today.